Anthony Michael Bourdain (June 25, 1956 – June 8, 2018) was an American celebrity chef, author, travel documentarian, and television personality who starred in programs focusing on the exploration of international culture, cuisine, and the human condition. He was considered one of the most influential chefs in the world by many commentators. 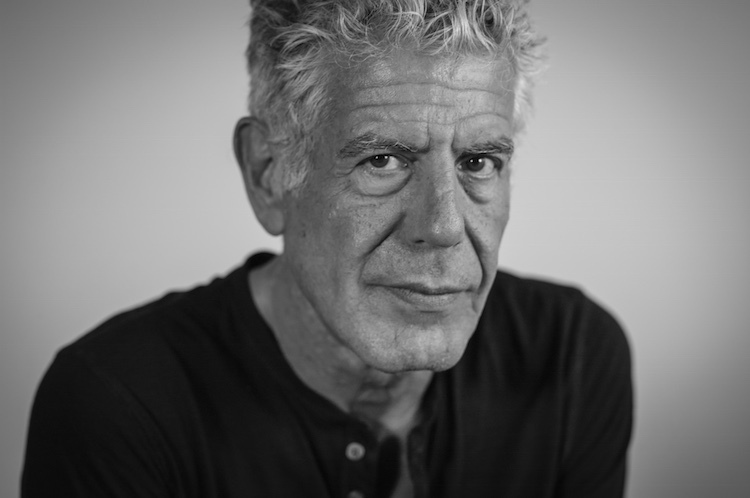 Bourdain was a 1978 graduate of The Culinary Institute of America and a veteran of numerous professional kitchens in his career, which included many years spent as executive chef at Brasserie Les Halles in Manhattan. He first became known for his 2000 bestselling book Kitchen Confidential: Adventures in the Culinary Underbelly. His first food and world-travel television show was A Cook’s Tour, which ran for 35 episodes on the Food Network from 2002 through 2003. In 2005 he began hosting the Travel Channel’s culinary and cultural adventure programs Anthony Bourdain: No Reservations (2005–2012) and The Layover (2011–2013). In 2013, he switched to CNN to host Anthony Bourdain: Parts Unknown. Though best known for his culinary achievements and television presentations, along with several books on food and cooking and travel adventures, Bourdain also wrote both fiction and historical nonfiction.